Oil will start flowing through the Dakota Access Pipeline as early as next week after an appeals court refused to grant an emergency order to Native American tribes that would halt the oil delivery process. 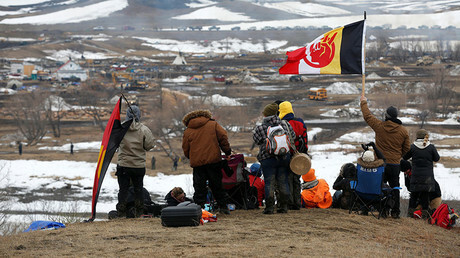 The Standing Rock and Cheyenne River Sioux tribes have challenged Tuesday's decision by US District Judge James Boasberg not to stop construction of the final segment of the $3.8 billion pipeline. On Wednesday, the legal team representing the two tribes asked the appeals court for an emergency order which would halt any further construction progress. The US Court of Appeals for the District of Columbia Circuit ruled on Saturday that the tribes had not met the requirements for the order to be issued. The pipeline will be ready to transport oil as early as March 20, following US President Donald Trump's executive order last month paving the way for the final stretch to be built. The decision to seek an emergency order comes after both Native American tribes lost a legal bid last week to stop construction on the last link, which runs under Lake Oahe in North Dakota. The Army Corps of Engineers was allocated the task of clearing the way for the pipeline to run under Lake Oahe on February 7, which the tribes and environmental activists tried to stop with all legal means available at their disposal. In their legal argument, the Native American tribes claimed that the pipeline under Lake Oahe would desecrate water used in sacred ceremonies. Environmental groups along with the local tribes continue to oppose the pipeline, which is being constructed by Energy Transfer Partners, saying it could pose a threat to their drinking water supply. 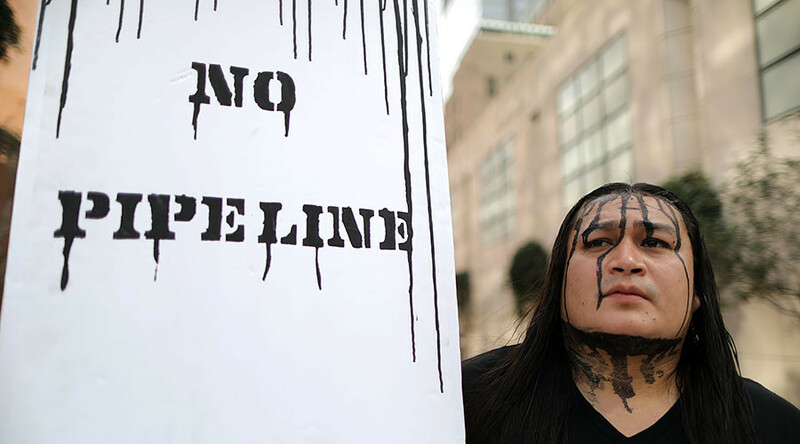 The fight against the pipeline led to months-long protests. The Dakota Access Pipeline is a 1,172-mile-long (1,886 km) underground oil highway that begins in the Bakken oil fields in northwestern North Dakota and extends southeast to Patoka, Illinois.